Pretty Much the Best You can get here on Most Days! 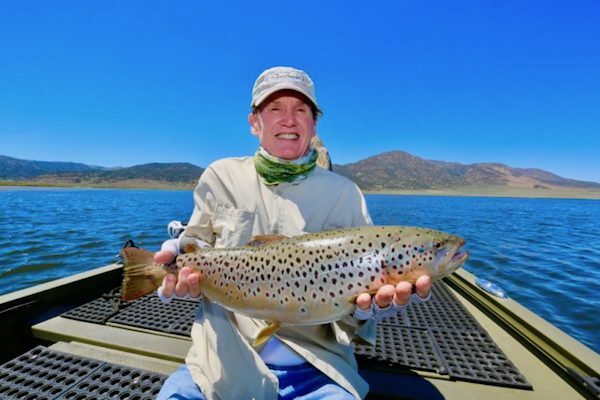 Father Jim Maguire with a bicep curling class brown trout! Pretty much the best you can get here on most days. Big fish showing up as they move into the channels to cool off and escape the rising lake temperatures. Fish are feeding heavily on callibaetis and damsels along the weed lines. 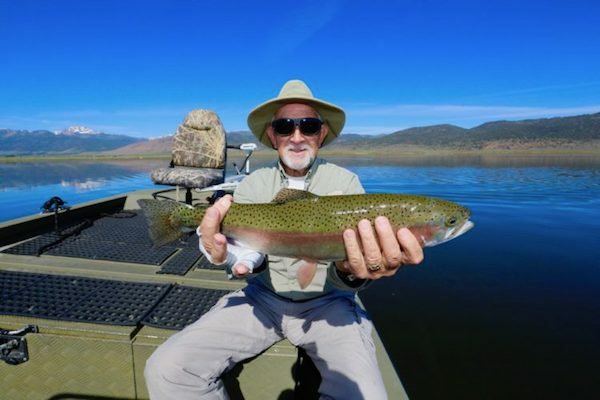 Getting the boat in the right position is of great importance and changing depths as the fish move on and off the ledges will keep you in the bite all day. Afternoon winds have been coming up and our assassin patterns have kept the fish interested when the white caps are up. #14-16 Level Crystal Leeches, #14-16 Assassins Light, #12-18 Copper Tiger Midges, Parallel Punk Perch, and Zebra midges have been go to patterns. 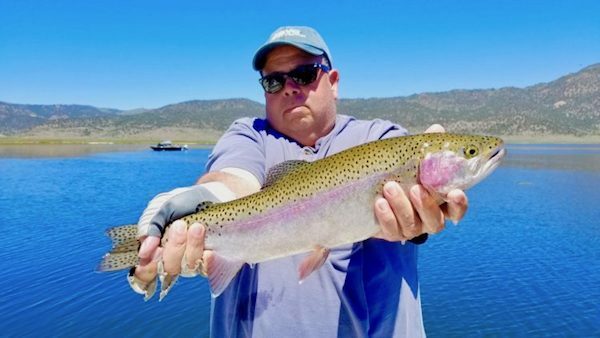 Tom Loe hit Bridgeport Reservoir for a couple of days with the Maguires. 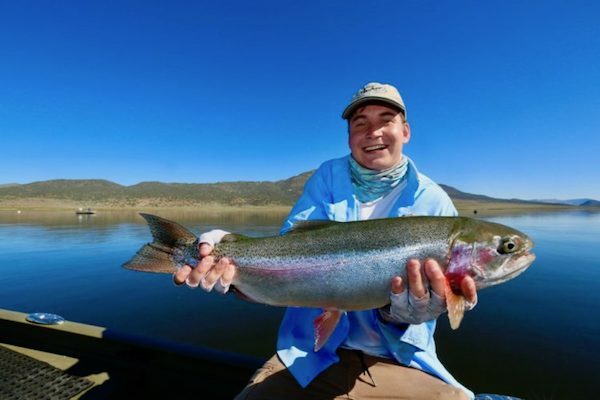 Here is Sergey with a beast of a rainbow! And Jim again with a Bridgeport pig! Sergey with another fine one! Long time Drifter’s client Art Heitt got in on the action as well. The 3 of them had a great day on the reservoir! 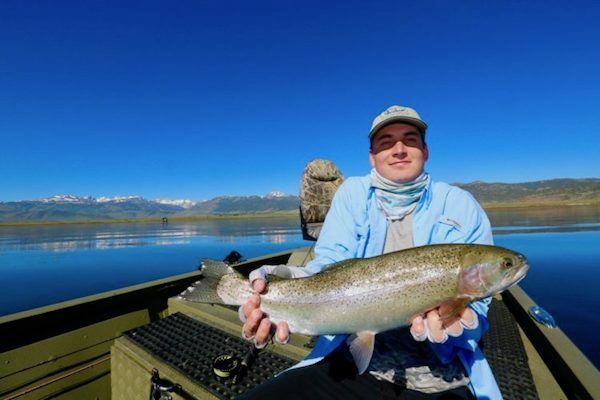 Saltwater enthusiast Chris Patrizio fly fished the Res for the first time and scored big time with this painted up rainbow! 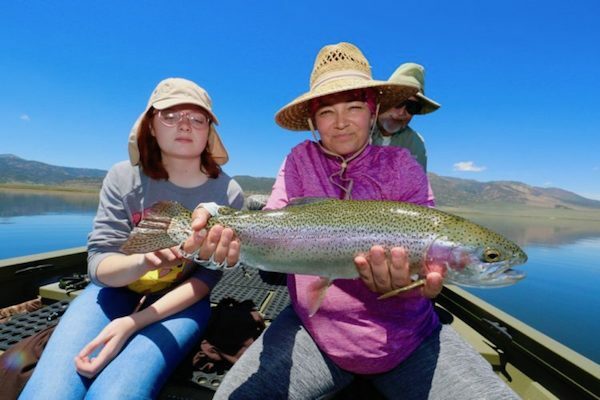 Amy Holmes holding the fish and daughter Natalie on Tom Loe’s green machine with a beautiful rainbow! Art Heitt admires this great fish from the background. 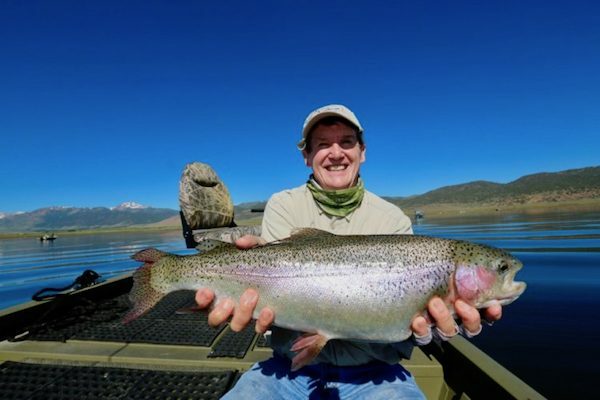 Crowley Lake: It has been Big Fish Bonanza Here on Most Days! 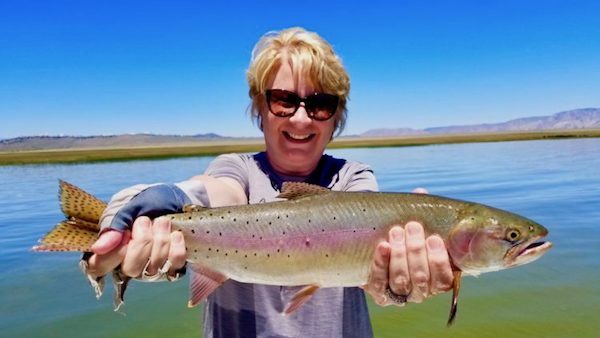 Owens River - Section 3 - Upper (above Crowley): Good Dry Fly Fishing Along the Banks Here! 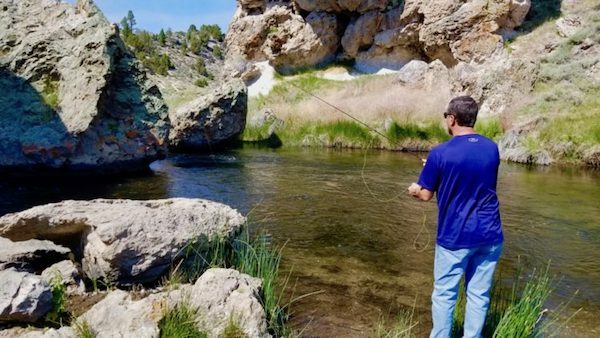 Hot Creek: Really Fun Time of Year to be Down Here.